Yao Monozukuri Net is the place to search for and locate manufacturing businesses in Yao City. 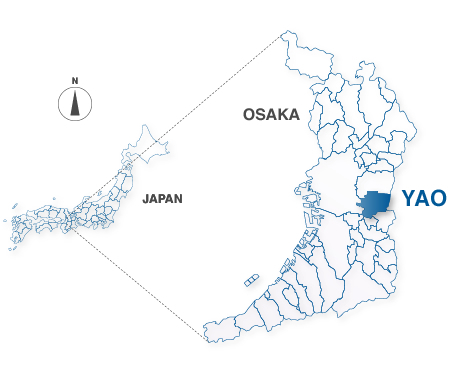 Yao City is located in the east-central area of Osaka Prefecture. Yao City borders Osaka City to the west, Higashi Osaka City to the north, and Nara Prefecture to the east. Yao City has long prospered as a center of industry and transportation. Due to its excellent transportation capabilities and ample supply of gifted workers, Yao City is home to approximately 3,000 manufacturing enterprises, making it one of Japan’s top manufacturing areas. Most characteristic of the manufacturing industry in Yao City is its diversity. A wide variety of industries operate here, centered on metal product manufacturing, electronics, machinery, and plastic products. Given the diversity of industries and enterprises inter-company linkages are promoted, making Yao City an environment in which it is easy to develop new products and technologies. Yao City enterprises make full use of the advanced manufacturing technologies and product development skills available to them, and as a result many enterprises enjoy higworldwide market shares in their respective industries, and many more enterprises develop products and technologies that they alone possess. The manufacturing industry in Yao City is well-renowned and has earned a deep level of trust both domestically and internationally. Welcome to Yao Monozukuri Net! Yao City is one of but a handful of monozukuri (manufacturing) cities in Japan, and is home to approximately 3,000 manufacturing businesses. Among these are a great number of industry leaders that possess top market share, and companies that are the sole provider of their products. Yao Monozukuri Net is the portal site for Yao City’s manufacturing industry, and here you will find information on a large number of Yao City’s characteristic monozukuri enterprises, each possessing unique technologies, know-how and products. We are certain that this site can support the success of all businesses, and we encourage you to make use of it. Yao City considers its concentration of manufacturing enterprises to be an important resource for the region, and as such has prepared a system that allows the city to support all aspects of the manufacturing industry. 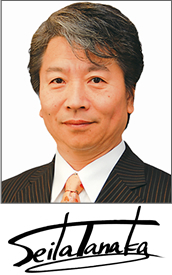 It is our hope that everyone will utilize Yao City’s monozukuri enterprises as their business partners.